It was confirmed this week that Hemel Storm’s talented and popular player Michael Darlow will not play again this season following a medical review of severe injuries to both his ankles. Darlow, an eight year servant of the Club, collapsed on court during a preseason training session with acute ligament damage in both of his ankles. It was hoped that a programme of rehabilitation and intense physiotherapy would enable Michael to return to the team early in January but he now faces more advanced treatment including the possibility of surgery. “I’m gutted but unfortunately my season is over,” said Michael who was a junior with the Club before moving into the senior ranks and becoming a regular starter. Storm Head Coach Robert Youngblood commented: “We’ve missed Mike’s contribution since the first game of the season. We expected him to be a key starter for us and his absence has left a big hole and changed the make-up and chemistry of our team. And the 6’ 6” forward had this advice for young players: “Injuries are a factor in any sportsperson's career. My biggest advice to any young athlete is to manage injury properly, whatever type it may be, and always seek professional advice to make sure you’re fully healed. “I know in my enthusiasm to return to the court I’ve not always heeded this advice myself”! 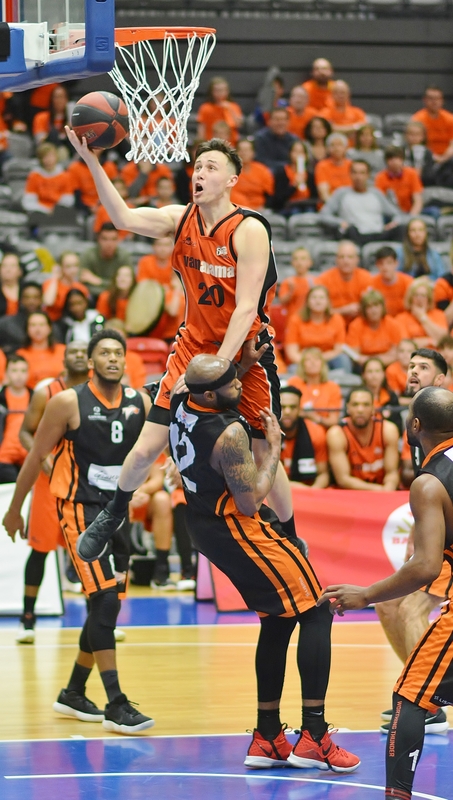 Although Michael may not be grabbing rebounds or knocking down three-pointers for Storm this season he is very positive about the Club’s chances in this Saturday’s game against Newcastle. “We’ve been looking great in recent training sessions and I know we’ll be ready on Saturday to hit the ground running and pick-up a vital victory. Mike had a message too for the Hemel fans: “Please continue your fantastic support for the boys, when the ‘StormDome’ is behind us we can beat any team in this league”.